The key to raising fine animals is treating them with the care and dignity they deserve, right? So for us, here at FreshStart, what does that look like? Well it's not so hard really. 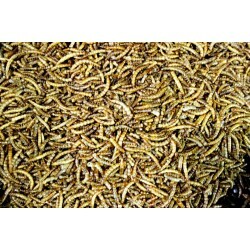 Good clean water sources and healthy feed (read non-GMO anod organic) for a great start. A suitable living arrangement to let an animal get fresh air, romp around, and have a safe and cozy place to rest that keeps the predators away and the rain off their back. A clean environment is also key - no nasty or stinky in the shed or house or pen. Thats about it as long as the flock/herd/gaggle is healthy. But we also recommend keeping handy first aid materials and medications at hand. Hope you don't need them but sometimes it happens! The key here is think what you need to thrive. It's pretty much the same for them! 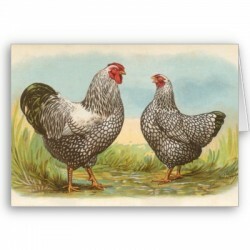 We hope for happy times with you sheppards, herders, stockmen, rangers and such. Let us know if we can help! This is a great product with multiple uses. It is specially formulated for agricultural use. 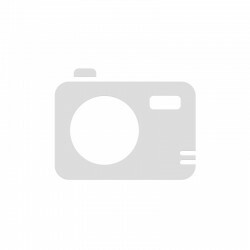 It is OMRI listed for use in organic production and registered for use as an anti-caking agent. Benefits include improved feed conversion and reduced manure odor. 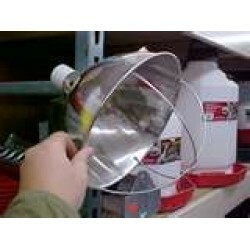 It has been used in dairy, beef, poultry, eq.. 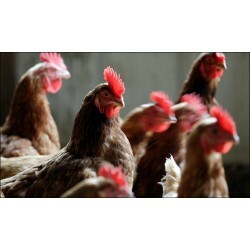 This is a powerful premium supplement suitable for organic poultry production. 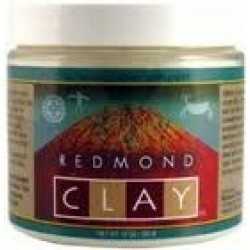 Contains specialty materials -kelp meal and direct fed microbials. We find the high quality of this vitamin-mineral supplement is unmatched. Use as an organic feed additive. 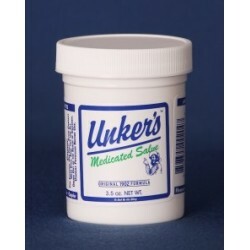 We use this to make our in-hous.. 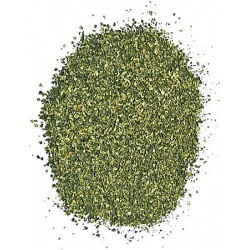 Brand: Thorvin Model: Kelp Meal 50 lb. 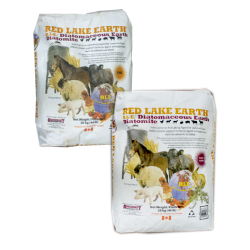 The best all around animal nutritional supplement we can think of. Kelp is packed with 30+ nutrients, it improves weight gain in livestock, egg laying in layers, and creates a robust immune system to fight stress. Given free chioice or mixed in feed portions. Great for recovery of sick or stressed a..
Our certified organic soy-free poultry Grower Feed is an ideal mix for those who may have soy sensitivity, and are looking to get chicks and pullets up to size with high protein. We replace the soy with high protein field peas which create a similar protein profile. We have seen consistently ex..
Our certified organic soy-free poultry Layer Feed is an ideal mix for those who may have soy sensitivity. We replace the soy with high protein field peas which create a similar protein profile. 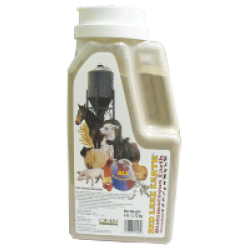 We have seen consistently excellent results with this blend and customers who use it swear by it.&nbs..
Model: Hanging Poultry Feeder, 12 lb. 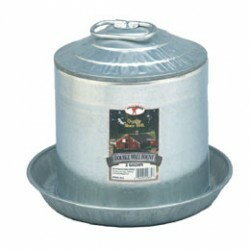 Poultry Feeder, Hanging, 12 lb. 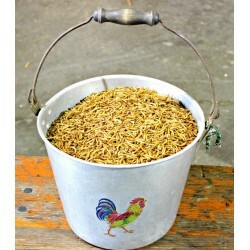 Made in-house, this is a Non GMO 16% protein , whole cracked grain chicken feed. 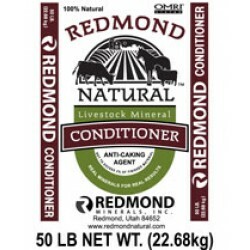 It provides a complete and balanced blend of fresh milled corn, roasted soybeans, oats, and organic alfalfa meal, aragonite, and nutri-balancer to keep your hens happy, productive, and healthy. 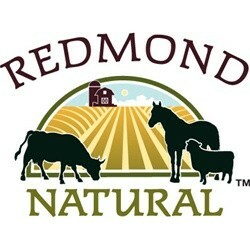 This is a ..
Redmond Salt with Selenium, 50 lb. 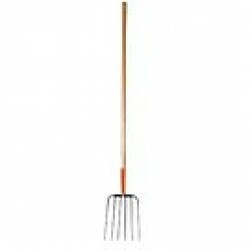 This quality compost fork moves compost, mulch, straw, and does so easily. The head is forged from a single piece of steel, making it strong enough to hold its shape for years and years. Made in Germany. We like the long (54") handle as well. Well made for sure, not a throwaway!.. 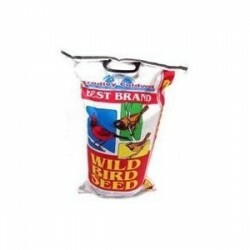 Millet and sunflower mix for a broad variety of birds. Either put on ground or in feeder. 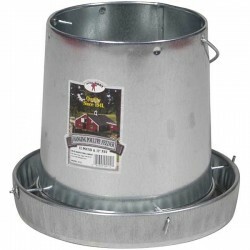 An all purpose mix to attract a wide variety of birds all year round..
Chick Feeder, Round, 8 Hole, 6"
This is a standalone baby chick feeder made of heavy-gauge galvanized steel for years of service. Rounded, embossed edges help reduce chafing on chicks' neck and head. 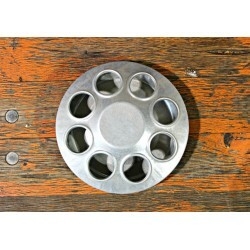 Eight feeding holes, with snap-on cover for easy filling and cleaning. 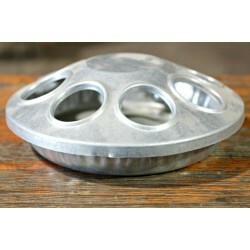 6 inch diameter by 2 inch high. Stan.. This product is made in-house and we are proud of it! We tried selling the kits made abroad, we tried the kits made in U.S., but nothing held up to our standards. So...if you want something done right, do it yourself. 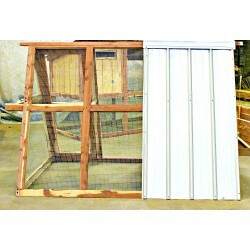 Our coop is made of eastern red cedar, which is durable and long lasting. We creat.. This product is made in-house and we are proud of it!. We tried selling the kits made abroad, we tried the kits made in U.S., but nothing held up to our standards. So...if you want something done right, do it yourself. 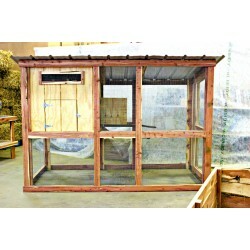 Our coop is made of eastern red cedar, which is durable and long lasting. We crea..